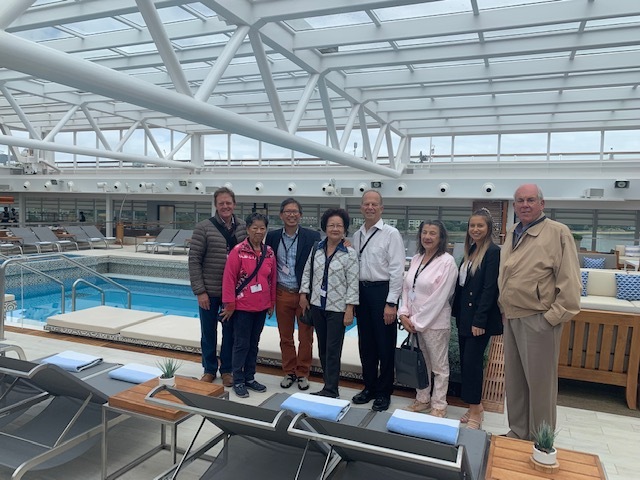 I had the pleasure of hosting a group of our wonderful ecruising clients on board for inspection of Viking Sun on Friday 15th March 2019 and what a truly magnificent ship she is. From the moment we boarded, we were greeted with impeccable service with a smile and absolutely immaculate ship design. Immediately you can notice the wider walkways, open spaces and natural light. 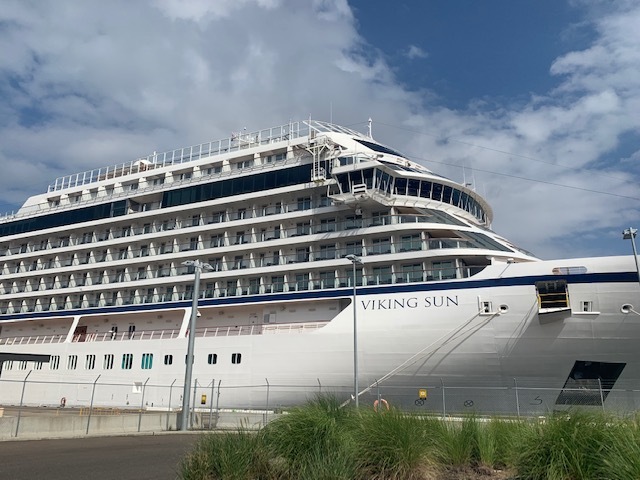 Viking Sun typically is the World-Cruiser and we were lucky enough to meet her in the middle of her World Cruise for 2019. 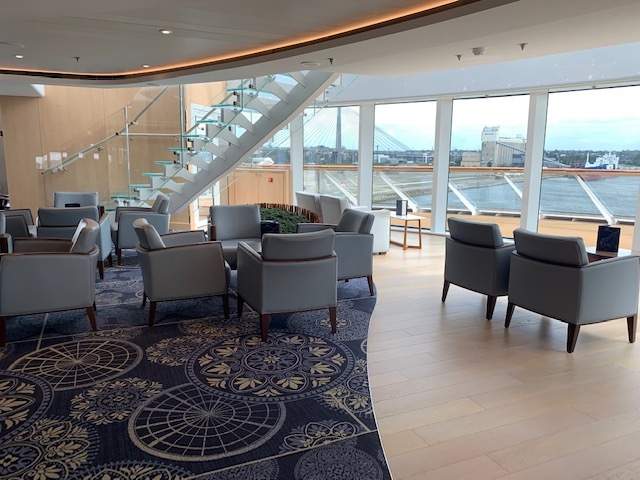 Beginning in the Atrium, you can instantly notice that the ships are designed for an intricate 5-star hotel feel and whilst accommodating only 930 guests, have the size to accommodate for much more. This means, that with a number of lounging areas, no one space feels over-crowded or busy and there is always a quiet place to read a book from one of the many bookshelves or meet with friend. From here we ventured into the spa which has been designed to draw upon the holistic wellness philosophy of Nordic culture. A huge standout is their intricately designed snow grotto where snowflakes gently fall from the ceiling and pair this with a hot change, following the centuries-old Nordic tradition of hot and cold therapy, and cross straight into the sauna. 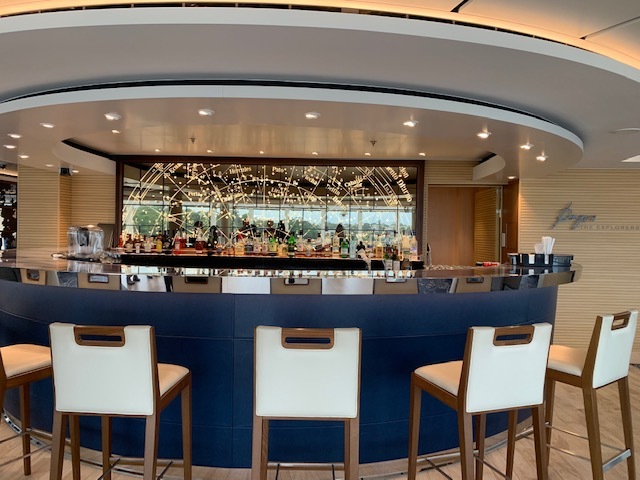 The spa has an incredible feel to it and truly a standout if your cruising experience includes indulging in some rest and relaxation whilst on sea days. There is no additional fee for spa access as well!